Kathryn has worked in the animal health industry for more than 20 years, including a role as Head Nurse at the Royal Veterinary College. 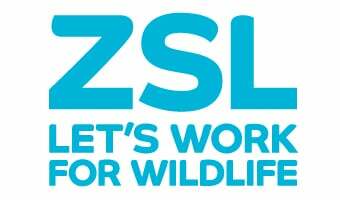 She joined ZSL in 2013. This is a letter I wrote to staff in the days after Melati died. Many asked that I share it more widely so that supporters could read it as well. Friday was one of the most difficult days of my long career working with animals. We started the day in nervous anticipation, excited that our beautiful Sumatran tiger Melati would have the chance to become a mum again. Ten days earlier a handsome male had arrived from Denmark, as part of a Europe-wide breeding programme for the species. Since then the pair had been living side by side, separated by mesh, both seeming comfortable and even choosing to eat their breakfast within feet of each other. They had been frequently calling and ‘chuffing’ to each other. Chuffing is a friendly noise that tigers use to greet each other, usually during courtship or when a mum is greeting her cubs. It indicates interest and curiosity. It might be the human equivalent of a saying “hello lovely, how are you?”. Occasionally the tigers will chuff at their keepers too, and those are moments they all treasure. I have known Melati since I joined ZSL in 2013 and I was as enamoured with her as everyone else at the Zoo. She captivated everyone who worked with her; she was beautiful, majestic, spirited – and every inch a tiger. After careful observation, we all felt confident that the timing was right to introduce Asim to Melati. With more than 120 years of collective experience managing tigers between us, even with the benefit of hindsight I am confident we’d all make the same decision again based on the behaviour observed. Many of us at the zoo had seen them greeting, chuffing and sniffing each other, with no behaviour that caused concern. Several people from outside the zoo have remarked that 10 days seems fast to introduce tigers to each other. It’s not – it’s wildly variable and depends entirely on careful observation of their behaviour. Conversely, it can be risky to leave tigers showing an interest in each other out of contact for too long, leading to a build-up of tension and frustration. In the lead-up to Friday, there was a lot to do. Careful plans had been meticulously drawn up, and risk assessments completed. Every detail had been discussed and examined at length amongst the team, who on the morning itself gathered at Tiger Territory to allow Melati, 10, and Asim, 7, to meet in the flesh for the first time. The team were not empty-handed; big cat introductions tend to be highly charged and always carry risk. Fire extinguishers, airhorns, hoses and flares were at the ready to distract them if the encounter took a dangerous turn. We had tranquiliser darts on hand but there are actually few scenarios where this would be viable – even if you could be sure of hitting the right tiger, they take up to 30 minutes to take effect. This could be even longer in a high-energy situation when an animal’s adrenaline is flowing. All of which means using one would have had no impact on the outcome. The perimeter of the exhibit was carefully walked and checked for anything out of place that could alarm the tigers. The surroundings were quiet and calm. We opened the gate between the two enclosures and watched carefully. Initially everything about their meeting was as we expected. They watched each other, they were cautiously interested and they sniffed the air for several minutes. At Tiger Territory we have created a space where our tigers can exhibit their natural behaviours. There are places to hide, places to be out of sight, places to be up high. Our tigers can behave like tigers, which are the conditions a good and responsible zoo is looking to create for all the species it holds. But part of tigers’ natural behaviour is territorial and aggressive, and they are strong and fast animals. A certain amount of posturing from the male is natural; it is normal for him to exert dominance so the female submits. They swiped at each other and reared up – all quite a normal part of them testing their boundaries. But in the blink of an eye, with no obvious provocation, they turned on each other and our years of experience told us it was beyond normal. The initial skirmish lasted a few seconds and we were already reacting. Asim started to retreat and we were poised to close the gate when Melati lashed back out at him. He overpowered her in a split second. Everyone sprang into action; lighting flares, sounding airhorns and setting off fire extinguishers and hoses. Unfortunately by the time Asim retreated the second time and we could close the gate, Melati had been fatally injured. It took moments. Everyone was numb with shock, and the sheer disbelief was palpable. As soon it was safe our vets ran to Melati with every hope they might yet save her, and even these experienced professionals of the zoo world were entirely distraught to find they couldn’t. The rest of the day passed in a blur, but key for us was Asim and his needs. Zookeepers don’t take a Hippocratic oath like doctors, but they really all do in their minds. Asim had been through an ordeal himself, and we focused on ensuring he was cared for and comfortable. The outpouring of affection for Melati in the hours afterwards made me proud to be part of ZSL London Zoo, where our animals so clearly have an important place in the hearts and minds of our millions of visitors. But I also felt proud to live in a society where people care so much about animals. Some people had questions which I hope I’m addressing here, but knowing those questions come from a place of compassion for animals reinforces the important work we do. Tigers are critically endangered; their role in zoos is as part of a breeding programme to form an assurance population against extinction in the wild. Because that is sadly a very real possibility. Even calling it the wild conjures up an idea of something that doesn’t quite exist anymore. Wild Sumatran tigers are living in poor forests degraded by agriculture, and many are trapped in tiny pockets of forest with no way of reaching a mate without coming into conflict with humans. We work closely with the South Sumatra government on a landscape management project to try and address some of these issues, including creating wildlife corridors to allow tigers safe passage through larger ranges. But wild tigers only stand any chance of survival because conservation organisations like ZSL and WWF are working with governments to protect them in their home ranges. Melati had a crucial role here generating advocacy for a species that is perilously on the brink; a role that she was clearly fulfilling gauging by the reaction to her passing. I would love to see this awful moment trigger a greater understanding of the challenges faced by her species in the wild. Melati contributed to a more secure future for tigers, not only through her cubs but through the affinity she built with our many visitors – reinforcing why zoos like ours play such an important role in the future of wild animals. The coming days will be tough as we come to terms with what’s happened, but we will treasure our memories of this special tigress forever.